You are currently browsing the archives for the Millennium Campus Network category. We hope everyone’s vacations are going well and everyone has been able to relax on this much needed break! 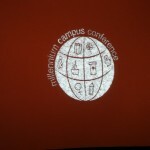 Looking to the future, the 2012 Millennium Campus Conference (MCC) is coming up in September. 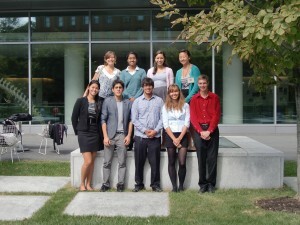 It will be held at Northeastern University on Septermber 14-15, 2012. The MCC is held as part of a greater effort by students across many universities to end extreme poverty as well as to achieve the United Nations Millennium Development Goals (MDGs) set forth in 2000. Every conference has a keynote speaker. Speakers of past years have included: K’naan (poet, singer); John Legend (singer, Show Me Campaign); Dr. Paul Farmer (Partners in Health); and Adam Braun (Pencils of Promise), among many other notables. 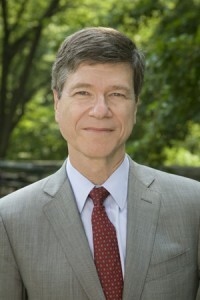 This year’s speaker has been announced as Dr. Jeffrey Sachs. 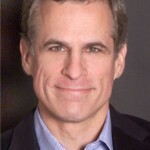 Dr. Sachs has been involved with MCC for many years on the Board of Advisors. Additionally, he is the director of The Earth Institute at Columbia University and a Special Advisor to the UN Secretary-General Ban Ki Moon. In addition to these impressive accomplishments, Dr. Sachs has been heavily involved with the fight against extreme poverty, having served as advisor to many governments with regard to economic strategy and healthcare in developing countries, and is considered the world’s leading expert on economic development. Having worked with such people and organizations as Pope John Paul II, the African Union, the World Health Organization, Polish Financial Minister Leszek Balcerowicz, Soviet President Mikhail Gorbachev, and Russian President Boris Yeltsin, Dr. Sachs has become a very important and influential person. Indeed, he was recognized as such, being listed twice in Time Magazine’s 100 Most Influential World Leaders. With such an impressive resume and inexhaustible drive to help ameliorate conditions in today’s developing countries, Dr. Sachs is indeed a very welcome guest at this year’s Millennium Campus Conference! It will be an interesting and enlightening experience to listen to him speak, based on his extraordinary knowledge and previous direct experiences in the developing world, and hear his views on the world and how each of us can contribute. Needless to say, we’re really looking forward to MCC 2012! The video below details Dr. Sachs’ ideas regarding technology and connectivity and how the two can help to springboard the developing world forward. With the advent of cheaper technology, the entire world becomes accessible with just the click of a button, and within the comfort of people’s homes. Even in some of the most rural areas, its inhabitants are able to connect to the outside world through the use of a simple mobile telephone. Mobile telecom is extraordinarily cheap in developing countries, and has helped many nations to advance in that respect. This idea of communication with the outside world and the flow of information has enormous consequences. Enter EWB BU. This is one of the things we’ve been working toward with our antenna project to extradite the results of Dried Blood Spot (DBS) tests for HIV using mobile phones and Short Message Service (SMS). We’ve definitely taken Dr. Sachs’ example as inspiration and hope that our trip to Zambia this summer will help us forward in our project and one step closer to implementation! It’s only fitting that we end our MCC 2011 features on the man who started it all, Sam Vaghar. At 25, Vaghar has already spread the Millennium Campus Network to include more than 20 campuses in Boston, New York, D.C., and Chicago since its founding in 2007. By gathering already established student chapters to meet on common ground, Vaghar has created an incredible opportunity for student leaders to network, collaborate, and learn from their peers. In events like the Millennium Campus Conference, its blatantly obvious that these groups are seeking fellowship among others who are struggling to end poverty and accomplish the Millennium Development Goals. 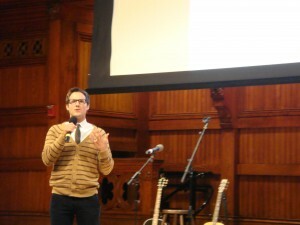 However, when he spoke to the MCC 2011 attendees on Saturday morning at Harvard he asked for more. “Dig deeper,” he stated. While the desire to do good and make change is crucial to our movement, it’s not enough. Settling for the intention isn’t going to make actual progress. Taking it a step further, maybe we can even think about Sam himself. Rather than joining a non-profit or volunteering at a single place, he thought of a bigger picture. 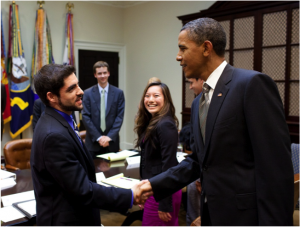 He created a way to contribute to global change by helping other students gain access to each other–something that wasn’t really being done in a consisten manner. The effect that MCN has had on the various projects done by its members is uncountable but undeniable. After asking students to “dig deeper”, Sam pushed even harder and asked us to think of the “how”. “How do we get results? How do we measure success? How do we implement?” While Vaghar agreed that these were difficult to answer, they are also necessary pieces of our work. Without taking our “why”–the things that inspire us, that fuel us, that sustain us–a step further to planning out the “how”, our intentions are wasted and forgotten. So, while floating in the land of whys may soothe your conscious, it will not contribute to the tangible development of solutions. 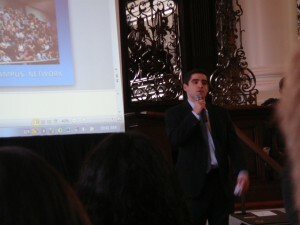 As one of the first speakers at the 2011 MCC Conference, Hugh Evans was a powerful opening act. 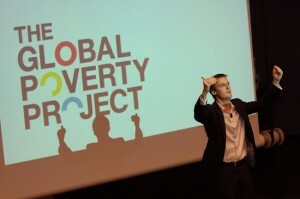 This Australian Co-Founded the Global Poverty Project and is working to eradicate extreme poverty for the 1.4 billion people still stuck living in these wretched conditions. It’s this number that resonated with us as we sat in the audience in the Kendall Square Marriott. As another arm of his group’s campaign to raise awareness and catalyze action, Global Poverty Project has created a fundraising event called Live Below the Line. A challenge to people across the world to live on under $1.50 a day in order to catch a glimpse of extreme poverty’s reality. Not only does Hugh Evans act as a major figurehead of the Global Poverty Project, but Hugh Jackman, another native Australian, has stepped up to the plate to help end extreme poverty. 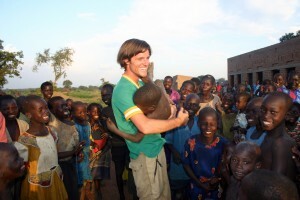 As a member of the group’s Global Activation Advisory Panel, he’s visited the UN with Evans, presented on the Global Poverty Project’s mission, and even filmed a short clip for the Live Below the Line challenge. In his final words as the evening concluded, Evans offered one final piece of advice, “Don’t apologize for being unreasonable.” While the rest of the world may say we’re asking for too much too soon, Evans emphatically disagrees. It’s not too fast. It’s not too much. “There are 1.4 billion reasons,” he reminds us. Extreme poverty has no place in the modern world. Our fellow human beings are being subjected to unimaginable circumstances–circumstances that make a $1.50 daily budget a reality. So we’re justified for seeking an “unreasonable” label. Evans urged us to push for more for everyone because nobody should live below the line. At Saturday’s opening ceremony, Robert Kaplan, a renowned leadership professor at Harvard University who has held too many positions outside of academia to list, focused on advising the 1000 students squeezed into Memorial Church on how to become better leaders. Most of the ideas he discussed had a distinctly philosophical flavor. After talking about his ‘critical questions’, he noted that all leaders need to forget this idea of perfection. It can only create a crushing weight that nobody can hold up for long. We must be honest with our faults and realize that perfection is a goal that isn’t a goal–it’s a trap. Kaplan placed four main suggestions and questions before us to answer in order to grow as leaders. 1. Write down your strengths and weaknesses. While this may seem innocent enough, it’s the opposite, argued Kaplan. This simple list requires leaders to truly delve to the core of what they have to offer and what they need to work on. He also noted that if you don’t know what you’re struggling with, how can you possibly make a change? So, if you can’t list off your strengths and weaknesses, don’t assume you’ll make any improvements anytime soon. 2. Write down your passions. How do you know what your passion is? “It’s when you’re at your best,” Kaplan stated. This is the moment where we are free of all outside forces and can simply embrace the sensation of being completely engaged in life. However readers be warned, things like peer pressure and ‘conventional wisdom’ will always seek to plant seeds of doubt. Be strong. 3. Write down your values. Okay, so maybe you think that this is the piece you can skimp on. I mean in the seconds it took you to read #3 you probably had 4-5 words pop into your head. But, do you actually live by those values? Put another way, “what are your boundaries?” asked Kaplan. If you don’t seriously think about what lines you aren’t willing to cross (ex. I won’t…lie, cheat, steal, sabotage, coerce, etc.) then, “when the moment comes to make the decision, it’s too late,” warned Kaplan. As a leader, you have to think about your boundaries before the moment to act arrives or else, almost inevitably, you’ll rationalize any partially constructed boundaries away. The final piece of Kaplan’s Four was the idea of practice. 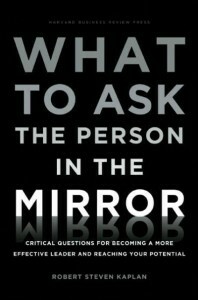 Can you look yourself in the eye and honestly say you practice…”self-disclosure, listening, asking for advice” etc. Leaders cannot claim to be strong leaders without practicing the traits of robust leadership. What do you practice? Finishing his practical advice for the future leaders sitting in the pews, Kaplan ended on a final piece of food for thought, a favorite quote of his by Albert Einstein. So take a chance, complete the Kaplan Four and see what you discover. If you’ve read our last post featuring Jason Russell of Invisible Children, you know he urged us to action and to take a chance by being a little crazy and doing what it takes right now to face the largest issues facing our generation, today. In contrast, Paul Ellingstad from HP’s Office of Global Social Innovation asked us for patience. He agreed that critical action needed to be taken now in order to begin turning the tide on the fight against extreme poverty. However, “lasting change takes time,” he said. If it doesn’t stick, then what’s the point? All you’re left with is a whole lot of wasted energy and effort. Be deliberate. We can’t accept the feeling of movement as a marker of progress. We must always check ourselves by asking the hard questions: Is this valuable? Is this effective? Is this efficient? 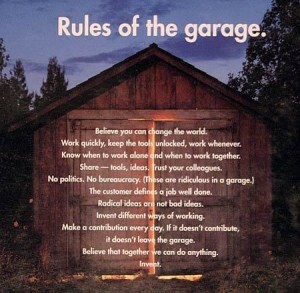 At the end of his presentation, Ellingstad pulled up a slide of the HP “Rules of the Garage”. These concise 12 rules are the foundation of the HP philosophy. Ellingstad left them with us as a reminder that the most basic truths found in the most mundane of circumstances can be used to build an empire. Stay true to the things you’ve learned and be honest about what you can accomplish. And always work like you’re still in your garage just trying your best to build something new. At the closing plenary on Sunday for MCC, Jason Russell had the hundreds of students in the crowd mesmerized. Within his first minutes on the stage, he began urging the crowd to copy down his words–words of wisdom, advice, warning, and passion. With sweeping hand motions and long strides across the stage, Russell urged us to find our passion, the thing that made us feel the most alive, and grab it. Not to let fear of judgment or failure inhibit us, but to celebrate it. “You are what you do everyday,” he said. So, be brave and do what you’re meant to do, every single day. He spoke emphatically of the power we have to change the world as young people. As you get older, you don’t always have the freedom to take risks and be bold. There’s more at stake. But now, at the brink of adulthood, we are limitless. So take the chance and step out of the crowd! Tear down the walls of tedious expectation and comfortable complacency and begin your journey because our generation’s window of time to generate real change is closing quickly. He also warned that naysayers and cynics will try their best to ‘ground you’. His response? “Don’t listen.” We can dream big and be crazy in order to face the incredibly urgent and serious issues facing our generation. Because if we aren’t willing to be a little crazy in order to solve these problems, then what’s the point in being grounded in an ugly reality? To conclude his impassioned speech, Russell quoted Apple’s “Think Different” campaign. This past weekend, 10 of our wonderful members and officers attended theMillennium Campus Conference (MCC) across the river at Harvard. MCC is an annual conference put on by the Millennium Campus Network–an awesome organization dedicated to connecting student groups across the nation in the quest to ending extreme poverty and accomplishing the Millennium Development Goals. It was an incredible event and we give a huge thank you to the team of volunteers, staff, and students who helped organize and run the event. In particular, Nicole Theobold deserves a standing ovation for sending out emails like a mad woman and keeping everyone on track. While the weekend was extremely busy, we got to hear from some truly incredible people and learned a lot from the keynote speakers, panelists, and workshop leaders. In order to spread the wealth of new knowledge and inspiration, we’re starting a series on our experience and take aways from the MCC. We hope you’ll enjoy being exposed to some new non profits and hearing some words of wisdom. So stay tuned and check back for the first feature!